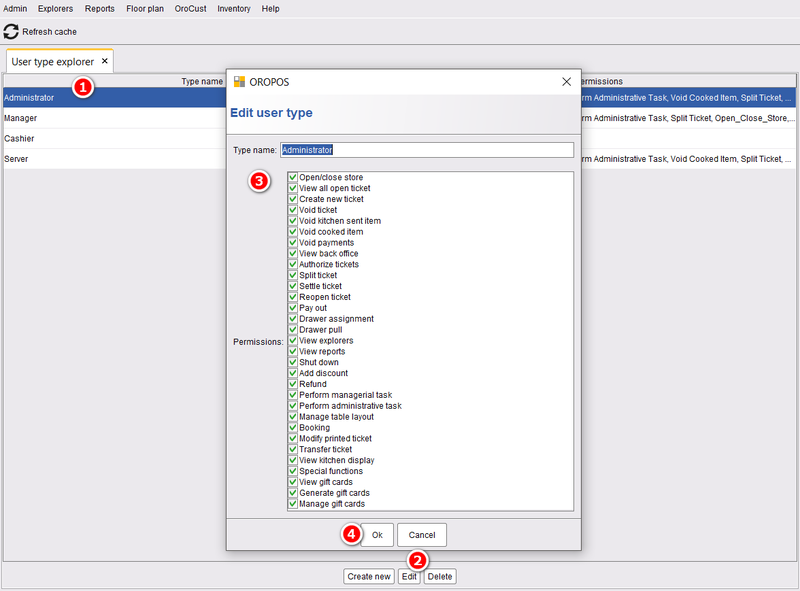 User type permission provides the opportunity to allow or hold users permission on certain tasks. Generally, in a store, the store owner/admin/manager doesn’t want their server, delivery driver, cashiers not to have the permission to go back office to change any settings or check all kinds of reports whereas they want to preserve these actions only for themselves only. 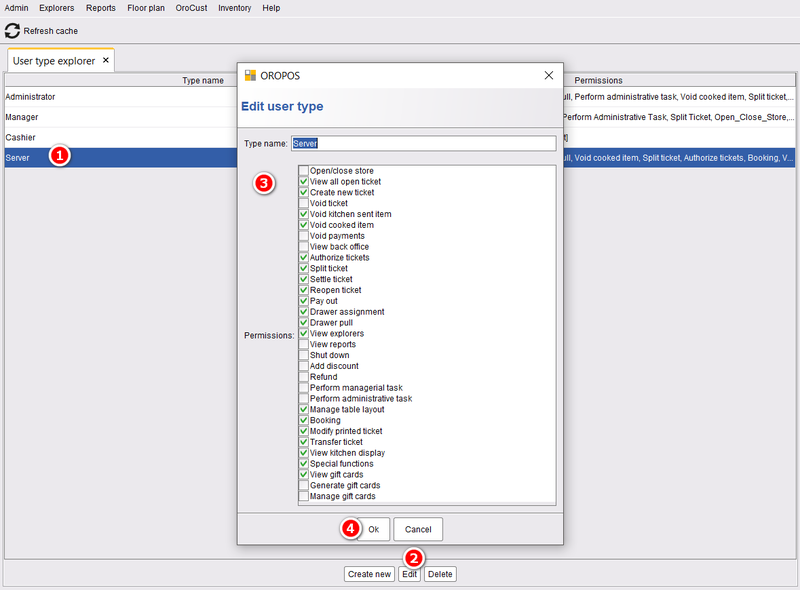 To edit user types permissions use the following steps. Go to back office–> admin–> user types–> select a use type–> edit it–> check mark or uncheck the permissions you want to give or hold to that user types –> press ok to save and restart the POS.